Once again, I have talked about Süsü before, but I am doing it again. 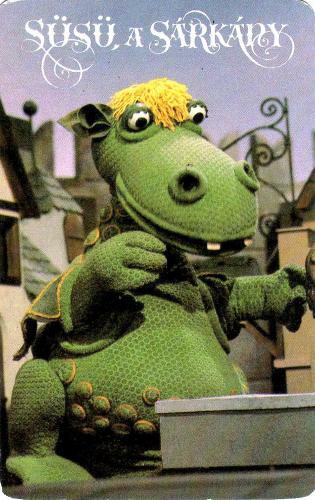 Süsü, the headcount-wise challenged dragon* is exiled from the Dragon Kingdom from being too soft-hearted, makes friends with a wandering Prince, and attempts to integrate into human society. 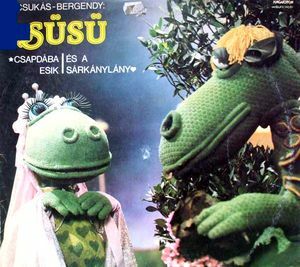 Süsü** a sárkány (Süsü the dragon) is a puppet-musical show (yup) and also a beloved series of children's books by Csukás István. 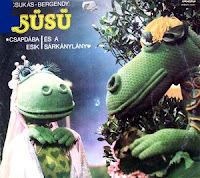 The original series had 9 episodes and aired in 1977, while the sequel (Süsüke a sárkánygyerek / Little Süsü the Dragonchild) aired its 13 episodes in 2001. Your garb is grand and so is your steed! Szép vagy mint a rózsaszál, ó, te kedves királylány! You are beautiful like a rose, oh, dear Princess! Except, well, people are still terrified of Süsü, the fight doesn't go very well, the Princess throws a hissy fit, and eventually everything comes to light: The Dragon is not evil, the Princess marries the Prince, and people decide to allow Süsü to live among them anyway. The following episodes chronicle Süsü's adventures among humans. He becomes best friends with the Prince's child (conveniently named Little Prince), gets into all kinds of trouble, and occasionally saves the kingdom; eventually, he even finds a girl-dragon to marry, one that only has one head too, and similarly loves butterflies. 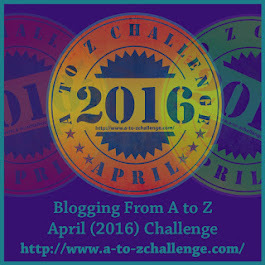 The new series goes on to tell about the adventures of their child, Süsüke (Little Süsü). 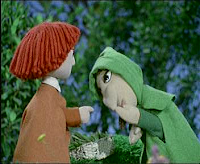 One of the quotable moments (and iconic figures) of the show is the Dragon Grass Peddler (Sárkányfűárus) who sells "dragon grass" to people, swearing up and down it keeps them safe from dragons. 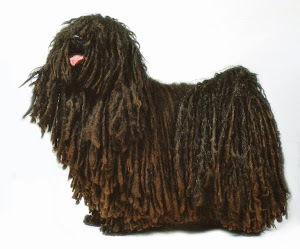 His business motto is "Sárkány ellen sárkányfű!" ("Dragon grass against dragons!"). Of course the hustle comes to a short end when the Prince shows up with Süsü, and suddenly the Peddler is not showing all that much loyalty to his own product, as a real life dragon scares the daylights out of him. This sounds adorable - I can understand why it is a favourite. I've never thought of a dragon being cranially challenged before. I love this, I'm used to my dragons with one head :) Growing up in Wales, in the UK, we had Idris the dragon who was hatched in Ivor the Engine's fire (Ivor was a steam train). I think this started my fascination with dragons along with moving to a country that has a dragon on it's flag... actually how cool is that? 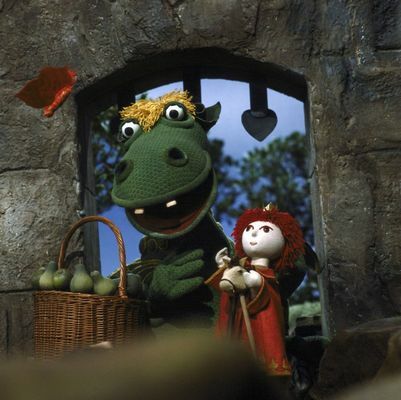 So did other stories have dragons with many heads or was this just for this show and he was one of the few with only one head? Who doesn;t like a soft cuddly dragon? I know I do. oh, wow! it looks to cute! but that much cuteness terrifys me. it sort of reminds me of when Mr. Rogers went to that puppet theater he had. Kinda sounds like Ollie from Kukla, Fran and Ollie. I like the concept of a "simple" dragon. How fun! And puppets are awesome!